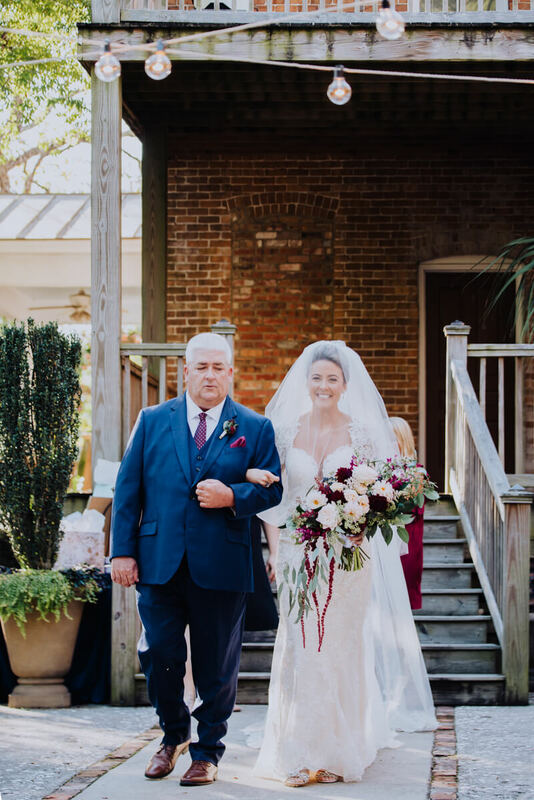 Brooklyn Arts Center Wedding - Wilmington, NC. 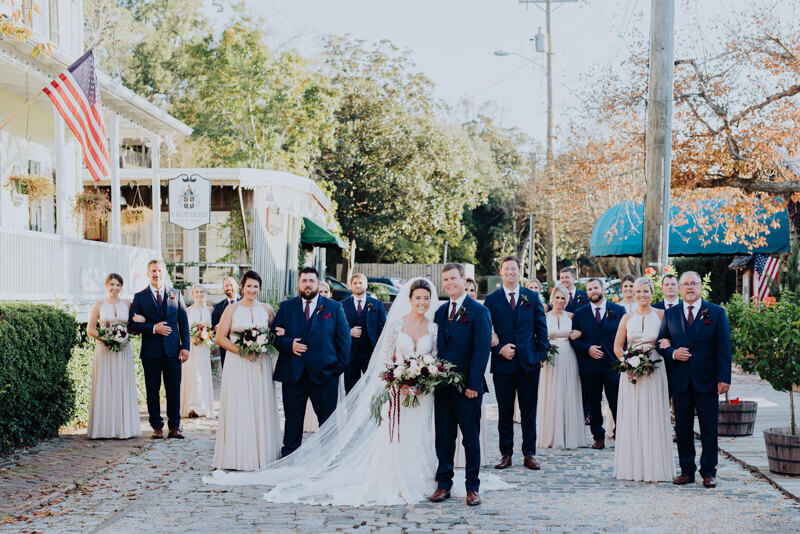 Mallory and Stuart tied the knot at Brooklyn Arts Center in downtown Wilmington. 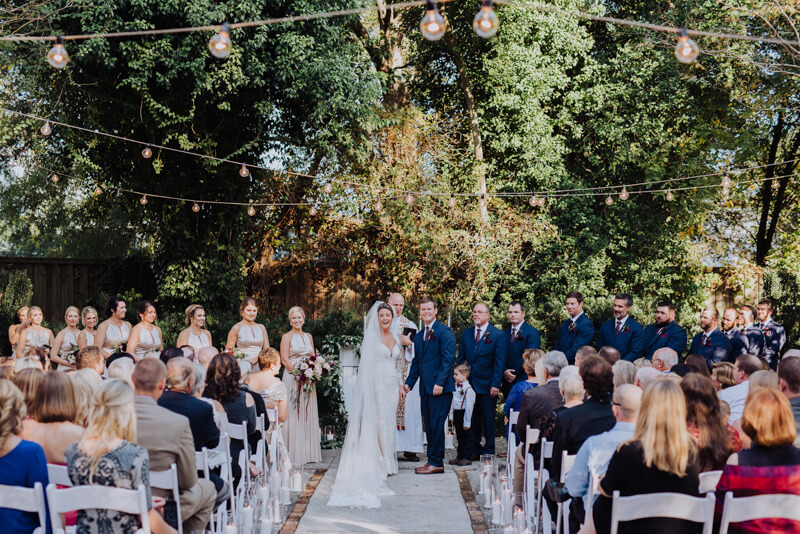 The remodeled old church, classic courtyard, and small side house offered everything they could want or need on the day. 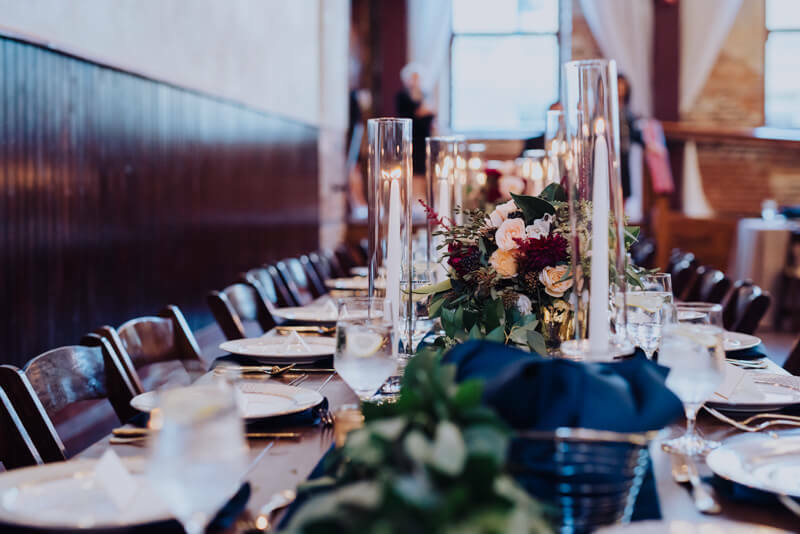 The Brooklyn Arts Center gushed with lush greenery, exquisite flowers, and hummed with joy. Mallory stunned in a classic long sleeve lace gown, with a cathedral veil, while Stuart radiated in bright blue. The two held hands while they read letters to one another before catching sight of their forever. 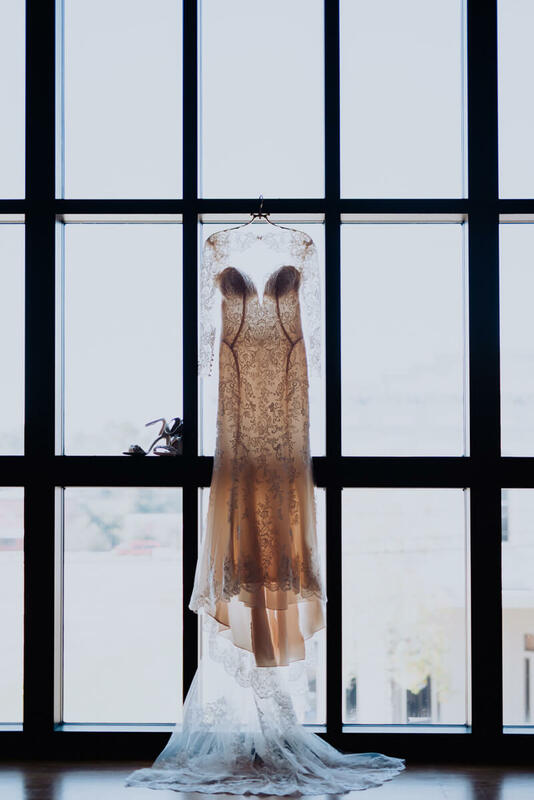 The beautiful ceremony was followed by a raucous trip around town in a classic trolley car with the wedding party. After a few quick photos at the site of the engagement, it was off to party! The reception was filled with lively music from the Irresistible Groove, and delectable food from Pine Valley Market. The crowd laughed a cried through speeches from the mother of the bride, maid of honor, and best man. Then turned to the dance floor for the rest of the night. 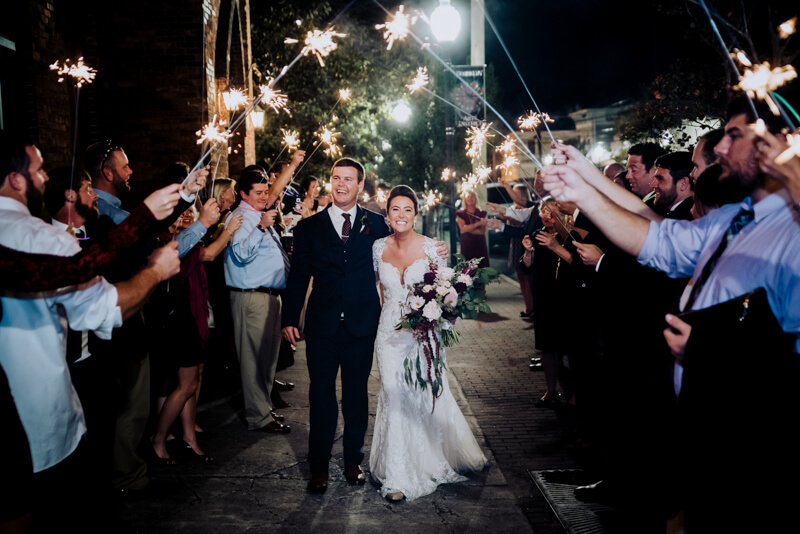 The party was ended with a lively Clemson tigers chant, followed by a gorgeous sparkler exit. Mallory and Stuart were then whisked off in a Rolls Royce to their new life together!